Cape Cod. Salty air, cool breezes, gorgeous sunsets. Add pretty mama and adorable and oh-so-deliciously chunky baby with her favorite toys and it’s a recipe for a fabulous shoot. The light, the tide, the gorgeous clouds that rolled in and warm bay water were all components in making this just an amazing experience. 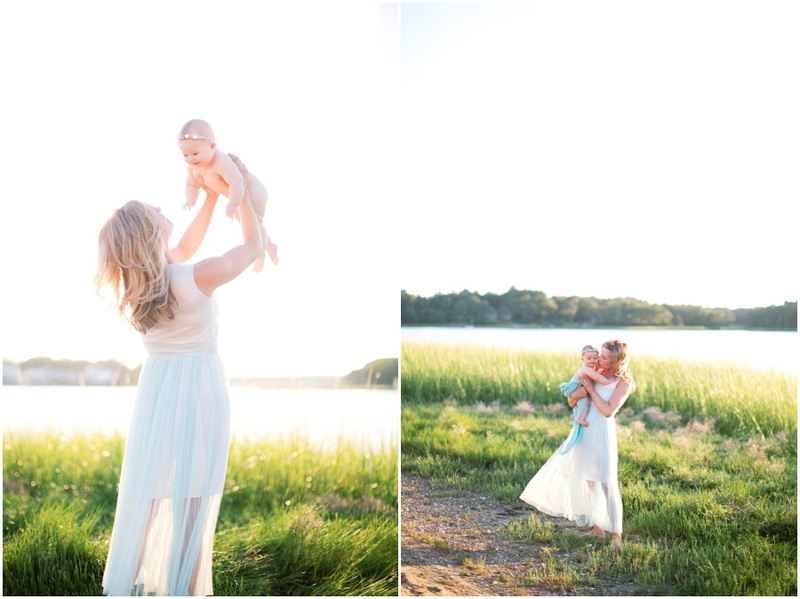 I am very interested in doing mom and baby mini sessions at this location later this summer and through September. I will be sending out a newsletter soon to announce dates. They will fill up fast so don’t delay once the announcement comes out! Beautiful custom seashell headband designed by my beautiful friend Juliet of Maya’s Curls! This session was just featured in CHIC Magazine’s “Natural” issue. You can pick your digital copy up here. Missy Perron - so very special, so very beautiful, a million times over. thanks so much! Kelli France - Such a STUNNING session, Steph! Tre Cavil - What an adorable baby! Love the lighting in your photos. Tre Cavil - Great use of the sun! These are gorgeous pics!